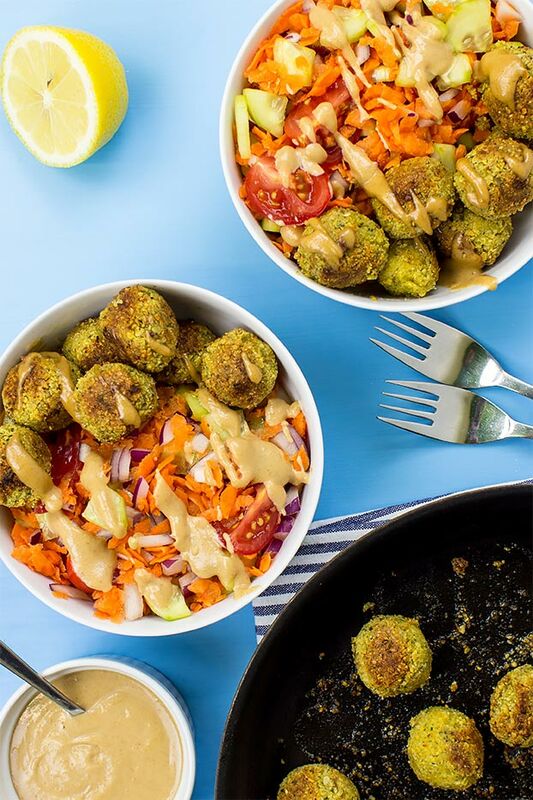 This falafel salad recipe really made us think. 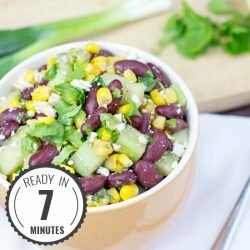 Is it ok to use falafel mix? Or even pre-packaged falafel? For the most part we really do like to promote whole foods over processed – they generally have more flavour, they’re cheaper and pack more of nutritional punch. But sometimes, we just say ‘sod it’. We’re not called HurryTheFoodUp for nothing, you know. We came to the conclusion that a pre-bought falafel mix is absolutely fine, especially when we checked out the ingredients. 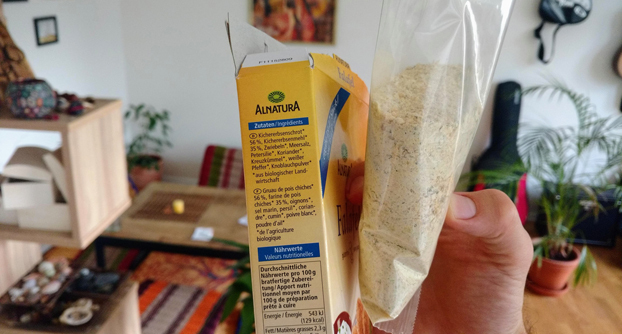 This pack was just chickpeas, onion and some spices, all organic and for a bargain of around $2 (1.70€) – and that sounds just fine to us. Sometimes saving time and still eating great food while being slightly naughty is worth the pay off. 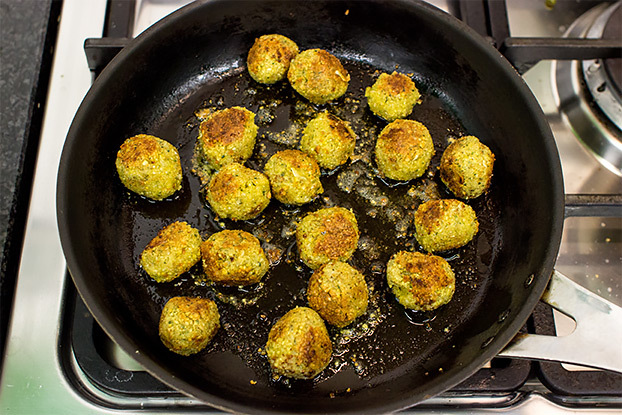 Of course, you can still make your own falafel for your salad. We’re absolutely not saying you shouldn’t. But if you don’t, don’t feel bad! A falafel salad, when done right, is great. Falafel can get a bit dry, and juicy carrot makes sure that doesn’t happen. The chickpea flavour really lends itself to cucumber, and you know how we feel about protein – the more, the better! So we made an extra protein sauce. And protein? Didn’t you say something about protein? We did. 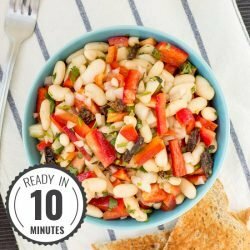 This salad packs almost 20g of protein per serving – mostly from the chickpeas and peanut butter. Chickpeas are a great source of protein, as well as fiber, iron and zinc, too. 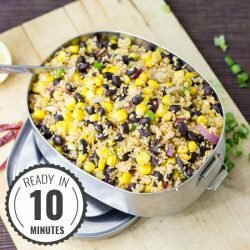 If you’ve been wondering how much protein you need, or how to get enough, then make sure you check out this free article and meal plan. In it we describe exactly how much you need and why, as well as help provide everything you need for a full high-protein week (including grocery list!). 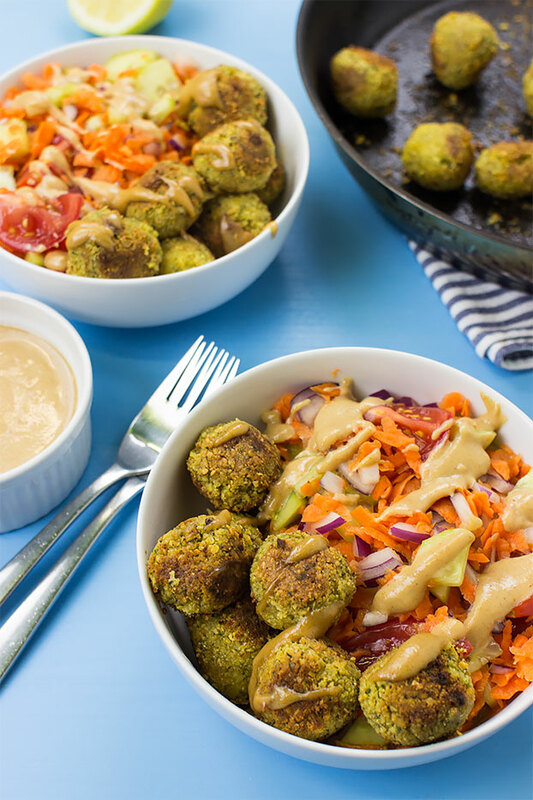 This quick take on the falafel salad is packed with protein – and adds even more with our peanut sauce! 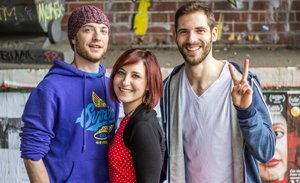 It’s quick, it’s easy and completely animal-friendly! Prepare the falafel according to package instructions. When cooking, don't bash them about in the pan toooo much as they tend to fall apart. Rather turn and cook slowly on each side. For the salad – chop the cucumber thinly, dice the red onion and halve or quarter the tomatoes. Grate the carrots and mix it all together. 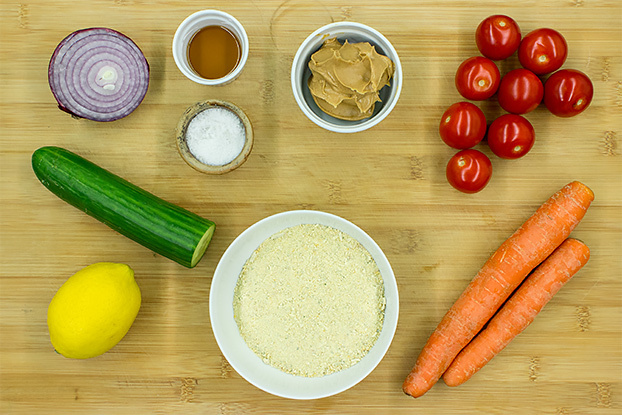 For the sauce – mix all the ingredients together in a bowl really well (with a fork or whisk is best). 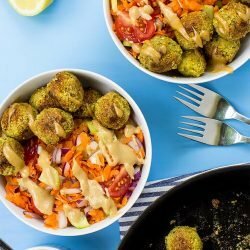 Serve the salad in a bowl, add the falafel and drizzle with sauce. Done!